Beautiful, spacious and bright new house (GVO 117m² BVO 149 m²), located in the still fully-evolving area of Buiksloterham, in the creative hub that is the Northern IJ-bank. 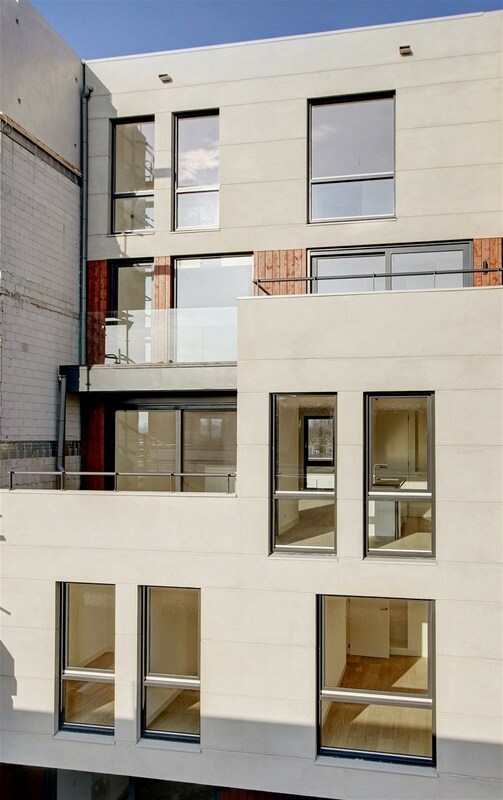 The maisonette is located on the first and second floor of the three-storey, robust and powerful building that consists of three properties. The U-shaped living room on the second floor has a large open kitchen at the front with a lovely terrace (12 m²) facing southwest. 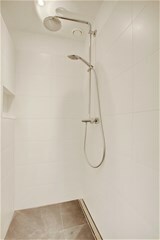 The first floor can be reached via a staircase through the inside, where two (bed) rooms, and a bathroom with toilet, are situated. The apartment is ideal for working at home due to the private entrance of the room on the first floor, which can therefore also easily function as office/studio space. 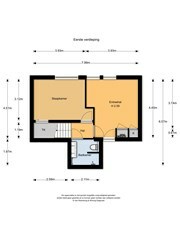 The apartment also has a parking space in the shared parking garage and a separate storage room (5 m²). 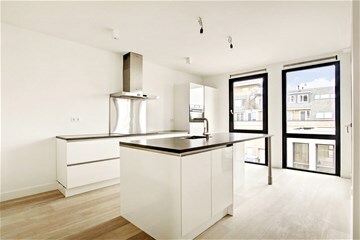 The entire apartment has underfloor heating and your electricity is fuelled (partly) by solar panels on the roof! You can reach the apartment via the joint staircase on the first and second floor. 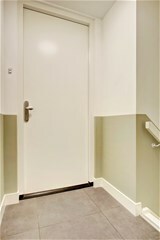 The second floor entrance is through a hallway with access doors leading to the U-shaped living room, as well as the toilet. 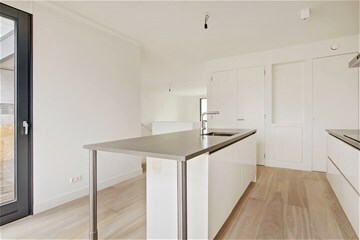 The living room has a large open kitchen on the side of the Kaasjeskruidstraat. This luxurious, robust kitchen has a kitchen island with a composite concrete countertop. The kitchen also has various built-in appliances provided by AEG, including an induction cooker with built-in extractor hood, dishwasher, fridge/freezer and microwave oven. 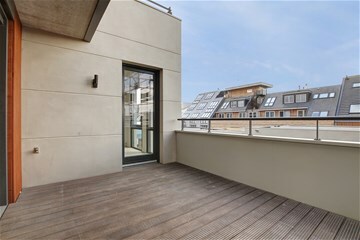 Through the large sliding doors from the living room you can reach the square terrace (12m²) facing southwest. 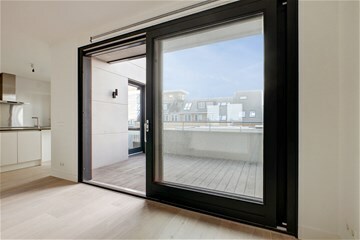 Access to the terrace is also possible via the side of the kitchen through a sliding door. You can also reach the first floor using the staircase through the inside, from the living room. Here you'll find two (bed) rooms, one of which has its own entrance via the joint staircase. 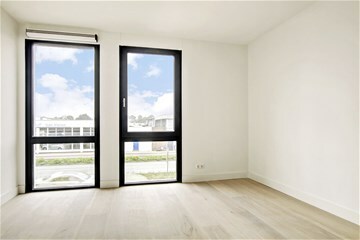 This space can therefore also be used as a work/studio space. The luxurious bathroom on this floor has a walk-in shower with thermostat and rain and hand shower, designer radiator, double sink with lighting behind mirror, and a second toilet. Finally, you have your own parking space in the shared garage underneath the house on Kaasjeskruidstraat 62 and there is also a separate storage room situated here. Buiksloterham in Amsterdam Noord is an area located on the Northern part of the RIver IJ, between the cultural district Overhoeks and the creative NDSM area. 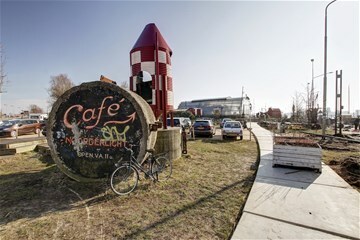 Near the popular flower district and the charming Buiksloterdijk. It's all happening here; over the next ten years this area will develop into a sustainable area where living and working go hand-in-hand. 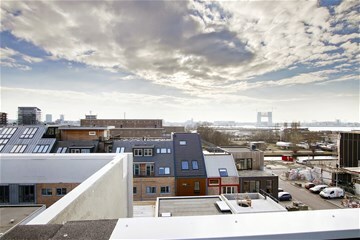 Many a creative pioneer, including designers and architects, have already settled in the Buiksloterham neighbourhood. 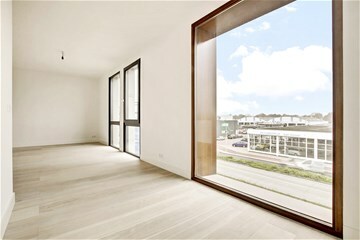 Its central location on the sunny side of the IJ is attractive for self-builders who build luxury homes, but there are also collectively developed industrial apartment complexes. There is plenty to do in the area. For example, you can combine a walk along the IJ-bank with a visit to the Eye film museum and the ADAM tower. There is a variety of catering establishments with a nice mix; from unadulterated old Amsterdam to new trendy, hip bars and restaurants. 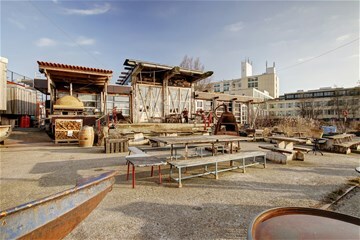 Such as MOON, Stork, the Goudfazant, Loetje on the river IJ or Pllek; the creative hangout on the NDSM werf. For your everyday shopping you can go to the market three days a week in the renewed Van der Pekstraat or in one of the three shopping centres i.e. 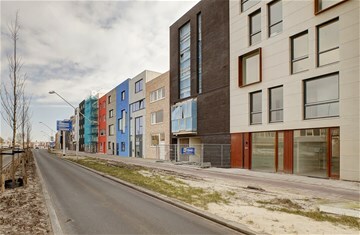 Mosveld, Banne Centrum and Boven 't Y on the Buikslotermeerplein. In addition, Amsterdam Noord has 31 primary schools and 10 secondary schools. There is a wide range of out-of-school care and daycare centres on offer. In addition, North has 60 active sports clubs, 9 parks, 7 shopping centres 2 markets and 1 brand new swimming pool, the Noorderparkbad. 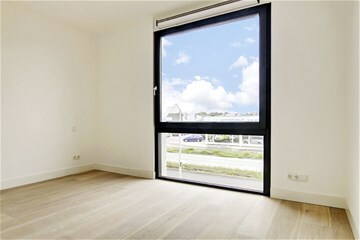 In short, Buiksloterham offers living/working pleasure in an area still on the rise. 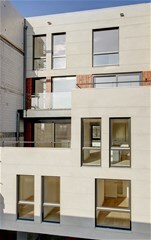 •	The house is easily accessible by public transport. Bus lines 391, 394 and the N94 (Amsterdam CS and Zaanstreek) are located nearby on the Klaprozenweg and the city bus 38 (Amsterdam Noord) stops around the corner, on the Ridderspoorweg. Subway Station Noord is 8 minutes away by car and 15 minutes by public transport. It is expected that the North-South line will be up and running in the summer of 2018. •	You can reach the A10 by car via the S 118 or the S 117, within 5 minutes. •	You can park in the shared parking garage. Visitors can use the parking spaces around the corner. 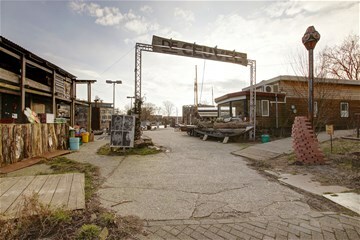 The House is situated on land that is subject to ground lease (erfpacht) related to the city of Amsterdam. 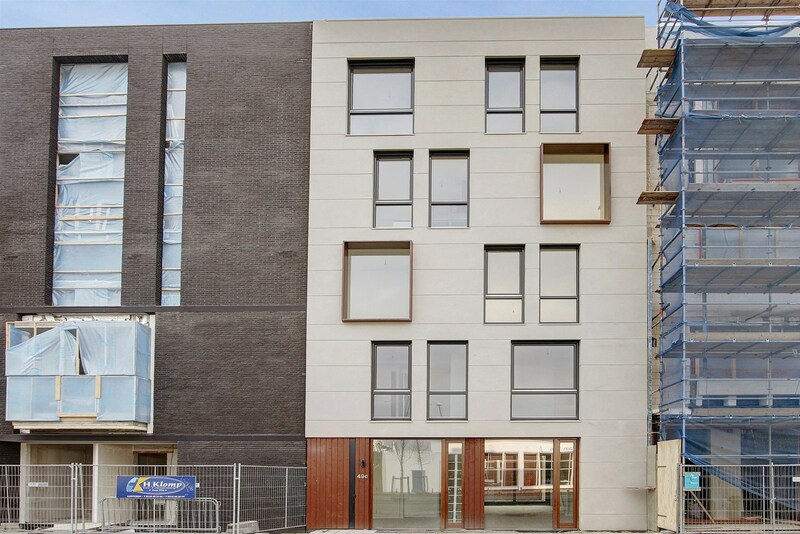 The General provisions Act for ground lease 2000 Amsterdam apply. This comes into effect on October 16th, 2016. The canon has been fixed for ten years, at € 1,262.74 per year. This canon, in principle, is tax deductible. The ground lease period is 50 years. The next indexation will be on October 16th, 2026. •	Service costs have not yet been determined. A meeting will be organised by the first resident owner when the houses have been sold. Then service costs, future maintenance, etc. will be discussed. 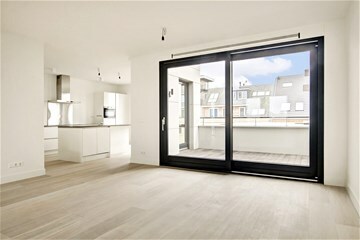 •	The name of the VvE is: "VvE Kaasjeskruidstraat 64A, 64B and 62 and Klaprozenweg 49C in Amsterdam". •	The VvE consists of 4 members. The reserves fund currently stands at nil. •	There is no long-term maintenance plan. •	There are no housekeeping regulations. •	Administrator: The VVE is managed by the owner of Kaasjeskruidstraat 62. 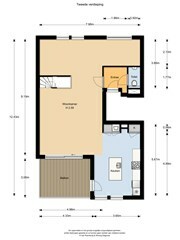 The description in the Ground lease Act is as follows: rights to one apartment multiple-family home belonging to the free sector with a total of one hundred and fifty-two (152) square metres (m2) gross floor area (GLA) in the main building, of which thirty-one (31) square metres (m2) gross floor area (GLA) is intended as workspace, i.e. home office. 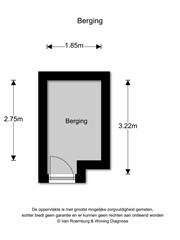 In addition, there are twenty-two (22) square metres (m2) of gross floor area (GLA) for parking and storage in the annex. •	Heating and hot water by means of district heating. •	Mechanical extraction system with CO2 detection. 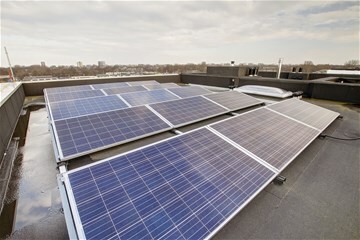 •	12 Solar panels on the roof, of which 4 for intended for Kaasjeskruidstraat 64A. Unknown; also not mandatory because it concerns new construction. 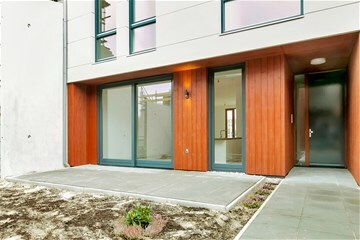 The property does comply with the building code (EPC ≤ 0.4). 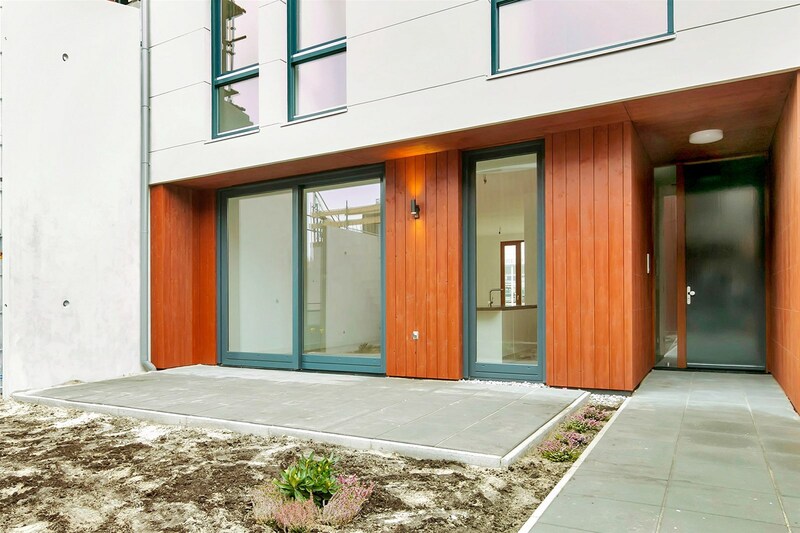 •	The complex consists of a main building with 3 houses situated on the side of the Klaprozenweg and an annex with 1 house, storage and parking garage for 4 cars on the side of the Kaasjeskruidstraat. •	Year of construction: 2017. •	Split: January 27th, 2017. Act of Rectification/Amendment: 25th January 2018. •	Nice bathroom with second toilet. 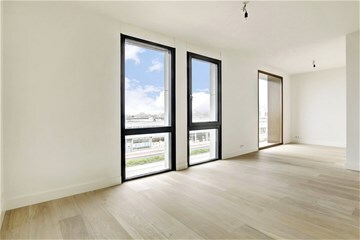 •	Project notary is Albers and Van Tienen notaries, Wolbrantskerkweg 40, 1069 DA Amsterdam. •	The buyer saves transfer tax and the costs of the deed. 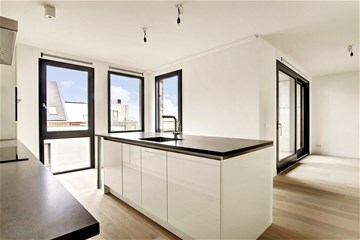 •	New apartment for living and working. •	Extremely wide lot of approx. 8½ metres. 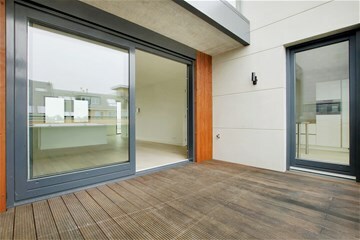 •	Large, almost square balcony (12 m²) facing southwest. 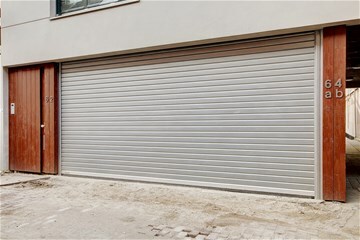 •	Private parking space in garage with semi-automatic parking system. 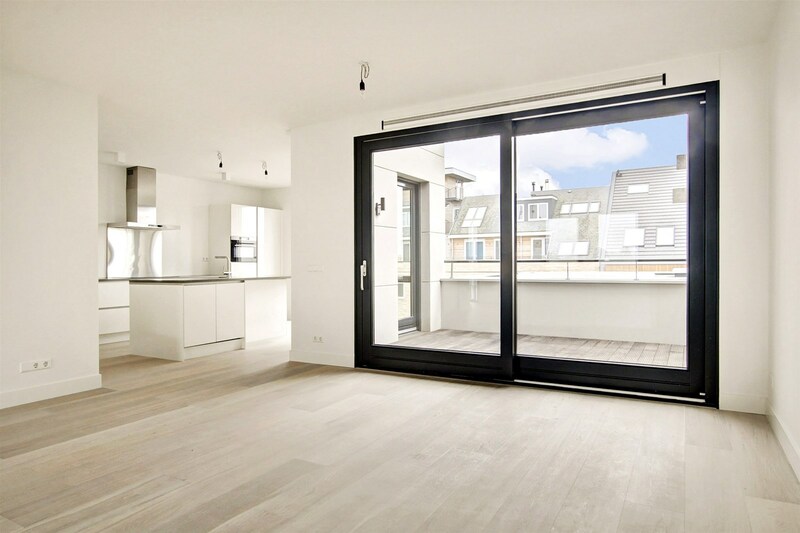 •	Separate storage room (5 m²). •	Luxury kitchen with kitchen island. 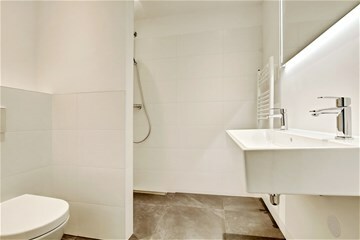 •	Nice bathroom with double sink, walk-in shower and second toilet. 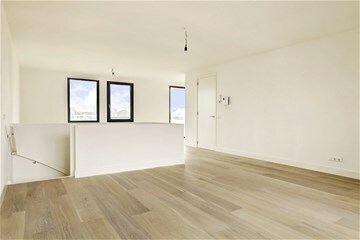 •	Underfloor heating throughout the apartment. 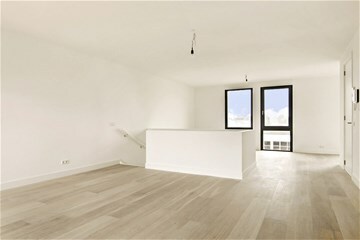 •	Beautiful oak parquet flooring (white wash) floor.